TEDxUtica and the thINCubator will host a Livestream of TEDWomen 2015: Momentum on Thursday, May 28th from 5-9pm at the thINCubator in Utica. This stream will allow you to view the Thursday’s portion of the conference as it unfolds in real-time. Attend as many or as few sessions as you’d like throughout the evening. Refreshments will be provided and all are welcome. Limited seating is available. 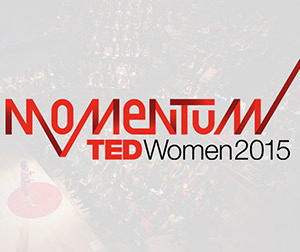 TEDWomen 2015 conference description: Momentum. Moving forward. Gaining speed. Building traction. At TEDWomen 2015, we’ll explore the bold ideas that create momentum in how we think, live and work. To reveal the spark that inspires innovation… to surface the challenges that come with social change, discovery and exploration… to seduce with strategies, solutions, and new ways of seeing and believing to understand how global leaders sustain their work for lasting impact to shift the view, the debate, the competition… to share the stories that connect us and strengthen communities… We’re excited to kick off the forward movement.